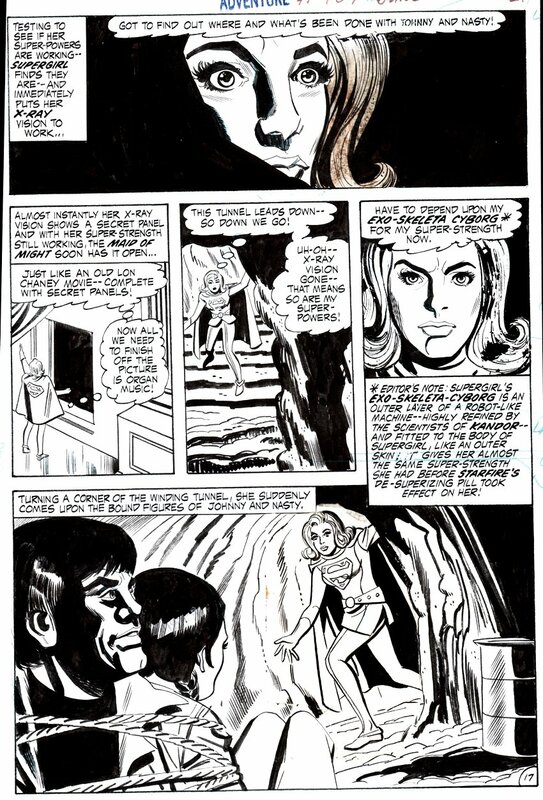 Check out this very nice 1971 Supergirl action page, which was penciled by Mike Sekowsky, and inked by Henry Scarpelli, from the story titled: "Suspicion Confirmed!" Just a nice Bronze age page with Supergirl in great action in every panel! The bottom panel has 2 seperate drawn versions of Supergirl drawn on seperate art board!